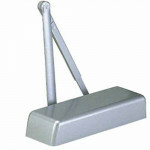 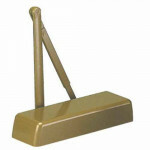 CR441 3 Cal-Royal Door Closer Grade 1 ADA / Barrier Free Adjustable Door Closer With Full Cover and ..
CR441-AL-HDAR Cal-Royal Door Closer with CR3077HDAR Non-handed forged solid steel parallel arm for e..
CR441 AL-HO Cal-Royal Door Closer with CR3049HO Parallel Hold-open Adjustable Arm (non-handed). 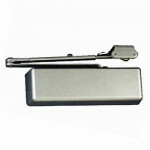 Equi..
CR441 AL-HOSpring Cal-Royal Door Closer with 3049HOSPRING Non-handed Super rigid parallel arm stoppe..
CR441 AL HOSRPS Cal-Royal Door Closer with CR3049HOSRPS Non-handed parallel arm features solid forge..
CR441 AL-Spring Cal-Royal Door Closer with CR3077SPRING Non-handed Super Rigid Parallel Arm with Spr..
CR441 AL SPAS Cal-Royal Door Closer with CR3077SPAS Non-handed parallel arm features solid forged st..
CR441-DU-HDAR Cal-Royal Door Closer with CR3077HDAR Non-handed Forged Solid Steel Parallel Arm for E..
CR441 DU HO Cal-Royal Door Closer w/Parallel Hold-open Adjustable ArmLifetime Warranty	FITS LCN 4040..
CR441 DU-HOSpring Cal-Royal Door Closer with 3049HOSPRING Non-handed Super rigid parallel arm stoppe..
CR441 DU HOSRPS Cal-Royal Door Closer with CR3049HOSRPS Non-handed parallel arm features solid forge..
CR441 DU-Spring Cal-Royal Door Closer with CR3077SPRING Non-handed Super Rigid Parallel Arm with Spr..
CR441 DU SPAS Cal-Royal Door Closer with CR3077SPAS Non-handed parallel arm features solid forged st..
CR441-GO-HDAR Cal-Royal Door Closer with CR3077HDAR Non-handed Forged Solid Steel Parallel Arm for E..
CR441 GO-HO Cal-Royal Door Closer with CR3049HO Parallel Hold-open Adjustable Arm (non-handed). 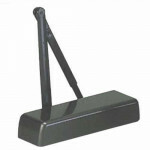 Equi..
CR441 GO-HOSpring Cal-Royal Door Closer with 3049HOSPRING Non-handed Super rigid parallel arm stoppe..
CR441 GO HOSRPS Cal-Royal Door Closer with CR3049HOSRPS Non-handed parallel arm features solid forge..
CR441 GO-Spring Cal-Royal Door Closer with CR3077SPRING Non-handed Super Rigid Parallel Arm with Spr..
CR441 GO SPAS Cal-Royal Door Closer with CR3077SPAS Non-handed parallel arm features solid forged st..
CR441 GO Cal-Royal Door Closer Grade 1 ADA / Barrier Free Adjustable Door Closer With Full Cover and..